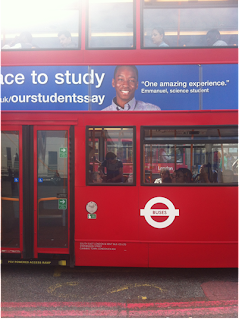 LIYSF - Emmanuel: You may have seen him around...! Emmanuel: You may have seen him around…! We interviewed Emmanuel, who’s working with us at LIYSF this year. He participated in LIYSF 2010, representing England. I was born in England but my ethnicity is of Nigerian descent. 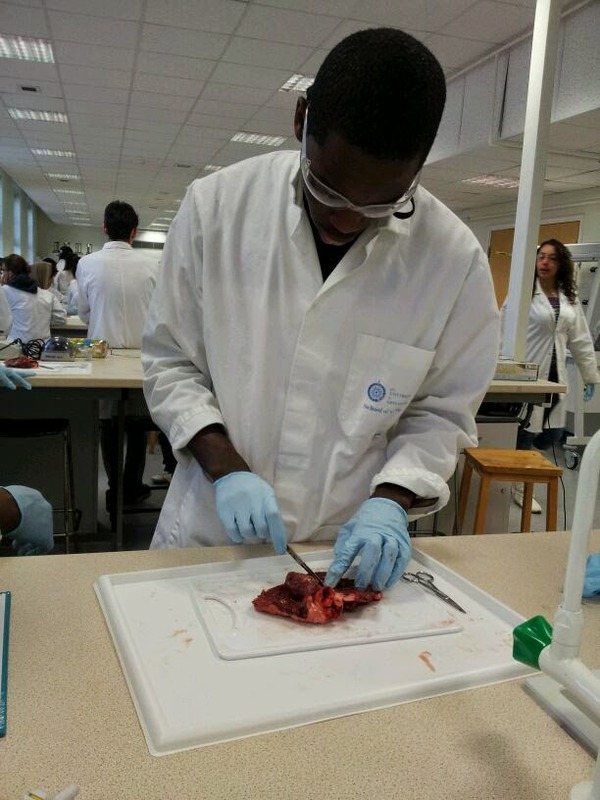 I currently go to the University of Greenwich and I study biomedical science. 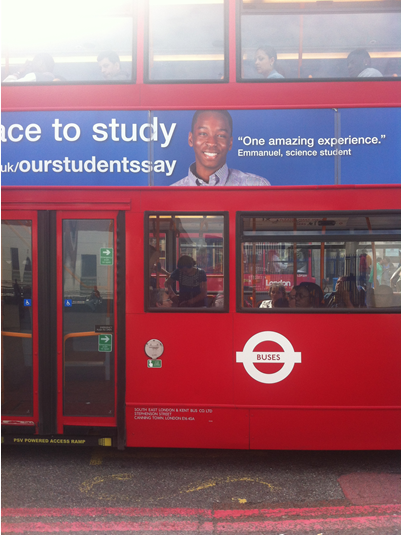 I enjoy playing the piano and playing a little basketball, as for a cool fact about myself I’m currently one of the co-faces of my university so you might see me on some buses, the university website, billboards and trains. What are your interests Emmanuel? Areas of science I am interested in are biology and cardiology. Within biology I have interests in the central dogma of molecular biology and the anatomy and physiology of the human body. Below is a picture of me dissecting a heart in labs. Tell us about your favourite memories of LIYSF? I have a lot of favourite memories at LIYSF, with each year adding to that collection. However the memories that come to mind are the opening ceremony when I was a participant, as that set the scene for me for the whole 2 weeks, just seeing everybody and all the flag bearers from 50 different countries in the Royal Albert Hall really got me in the mood for the forum. Another favourite memory of mine was the day visit to the Oxford biomedical research centre last year, my time there was amazing and I really enjoyed myself, we were not only given a tour but we were allowed to practice and use the equipment and use the high end specialist instruments there, the people there were really friendly and I learnt a lot scientifically. The international cabaret is another favourite moment of mine, as I had the opportunity to see people perform from a different cultural perspective, as well as see the amount of talent in one room and it also allowed for me to meet more people who I hadn’t met before. However, I must note that whether as a staff member or participant the whole duration of the forum is a favourite memory for me as I have the opportunity to meet people from all over around the world who are not only potential future colleagues, but are also definitely friends for life, my time at the forum has really motivated me to aim higher academically and has also helped me to network. LIYSF is something I will never forget and can’t help but talk about the event wherever I go. I thought I had finished with this but another favourite moment is the LIYSF Olympics as it really brings everyone together and the level of enthusiasm and energy is just terrific. This year I am looking forward to everything! The lectures, the event and the visits, at LIYSF every single moment is exciting, inspiring and worthwhile. I look forward to learning more from the various different professors and having the opportunity to meet the next new generation of pioneering scientists from around the world.